I enjoy a good challenge especially when it involves type design. 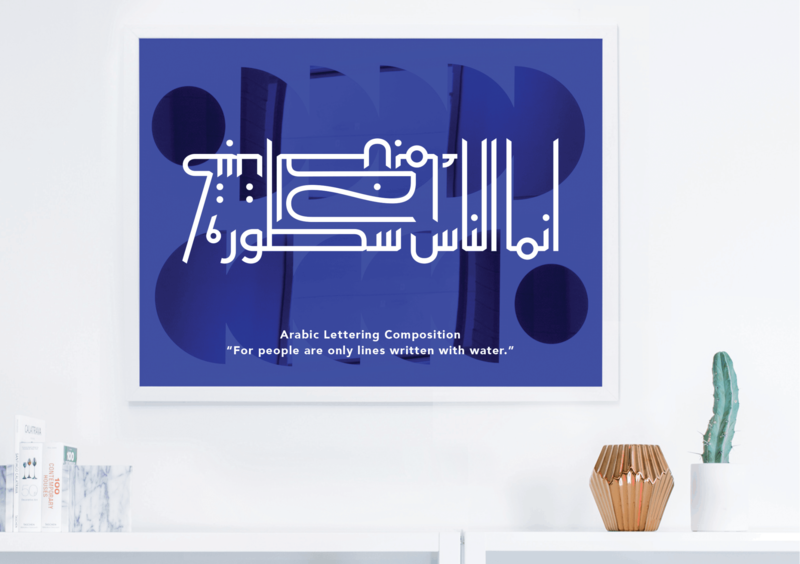 This piece was designed during a square Kufi calligraphy course by Joumana Medlej. I was the only participant that did not speak Arabic and was just a bit familiar with the letter-shapes. But I had some extra help from Nadine Chahine.